Paragliding is an adventure aero sport gives you the opportunity to fly like a bird in an open sky. 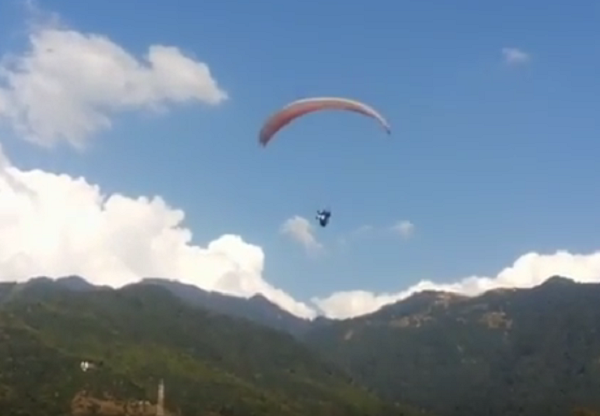 For paragliding you need a desire to fly, ideal paragliding destination, expert pilot for beginners and then the safety equipment to make sure that you have a safe ride. Here we discuss some ideal destinations in India which offer with the best paragliding experiences for beginners as well as professionals. Bir Billing a small village in Himachal Pradesh surrounded by big mountains is the first place in India which host the first ever world cup for paragliding. It is a best location for Hang gliding and paragliding both. Best season for paragliding in Bir Billing is from September to November but almost open all over the year depending upon the weather conditions. Himachal Pradesh is considered as the first home to paragliding in India with a total of 11 best paragliding spots, this hilly state offers multiple options for paragliding. Mussoorie a beautiful hill station of Uttarakhand is best destination for paragliding in Uttarakhand. One can go for a tandem Joyride in Paragliding, a two seater ride with a professional pilot to taste the thrill as no training or experience is required for this kind of paragliding. Just sit with the pilot on a separate seat and enjoy the ride. At Mussoorie one can go for only for long Rides as wind conditions in Mussoorie is not suitable for short flights. 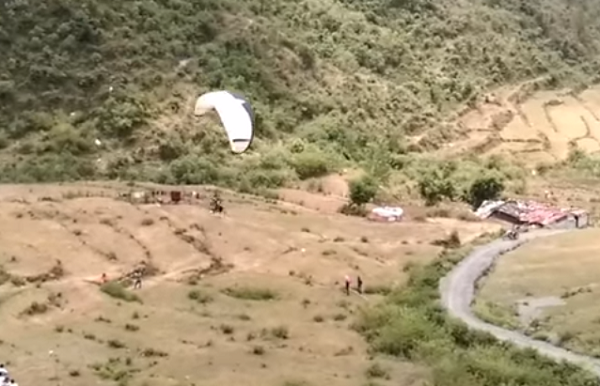 Best season for paragliding in Mussoorie is from March to June and mid-September to October. 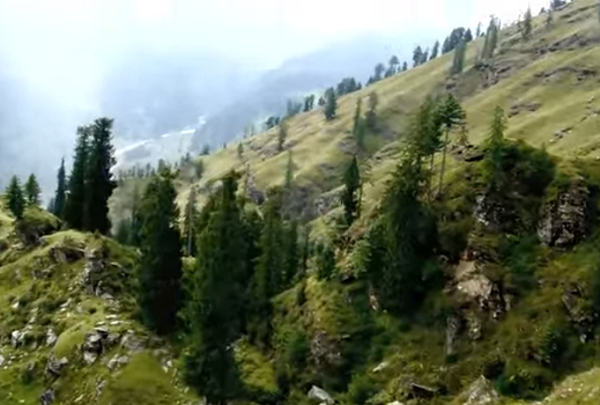 Cost for Paragliding at Manali, Himachal Pradesh- INR 600 for short fly and INR 1500 to INR 3000 for long fly. Gujarat a role model state of India is one of the most famous paragliding destinations in India. One who has craving for some adventure can become a part of 26 day long Paragliding Festival held between the months of December and January at the Satpura range by Gujarat tourism. Both adults and kids can take part in the paragliding activity and learn paragliding technique from well versed pilots. Paragliding at the Satpura range in Gujarat allows you a bird's eye view of the beautiful Aravali ranges along with the scenic beauty. Best season for paragliding in Satpura Range in Gujarat is from September to November. Nainital is a beautiful tourist place in Uttarakhand is one of the must have destination to visit in India. It offers lots of activities and things to do for tourists. 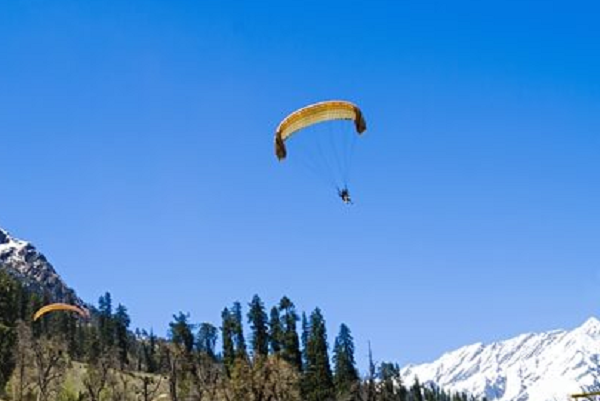 Paragliding is one of the most popular adventure activities in Nainital. 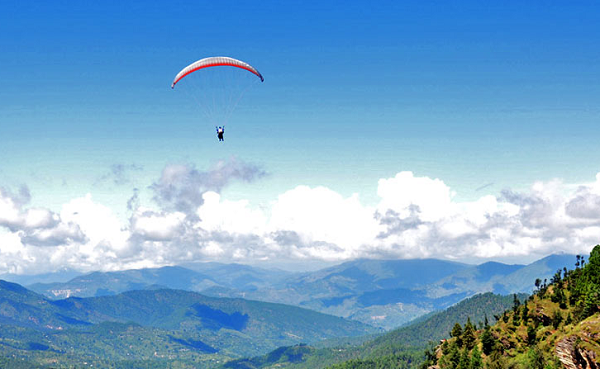 Naukuchiatal and Bhimtal are the two places where one can enjoy paragliding in the beautiful scenario. Best season for paragliding in Nainital is from March to June and October to December. Ranikhet a beautiful tourist place in Uttarakhand is becoming popular destination for paragliding and to enjoy looking at the valleys and snow covered Himalayas from high above. The Ranikhet paragliding camp located 12 kms away from the Ranikhet Township offer a complete paragliding package to its visitors. One can enjoy Tandem flights & Paragliding courses for people who want to fly high in the sky. 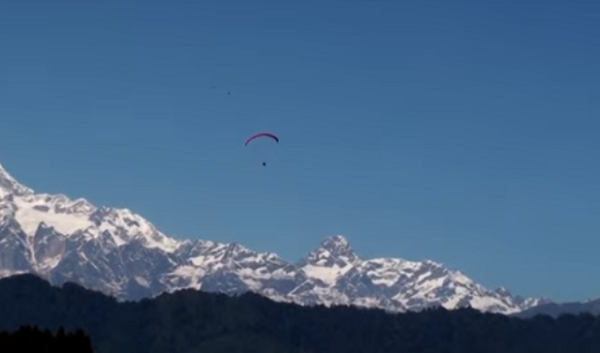 Best season for paragliding in Ranikhet is from September to March. Panchgani is situated among the five of the fascinating hills of the Sahyadri Ranges at a height of 1,305m above the sea level is an amazing hill station to visit in the Satara district of Maharashtra. 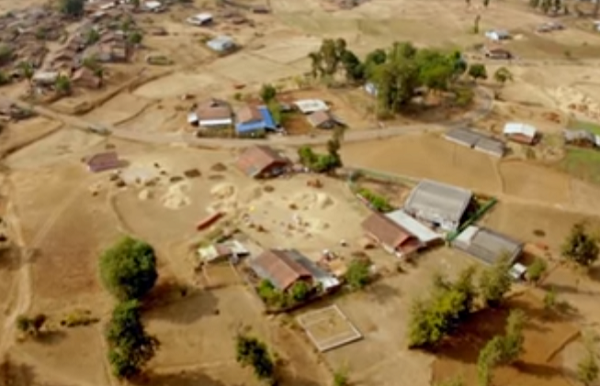 Panchgani is considered as the paradise for the paragliding flyers. 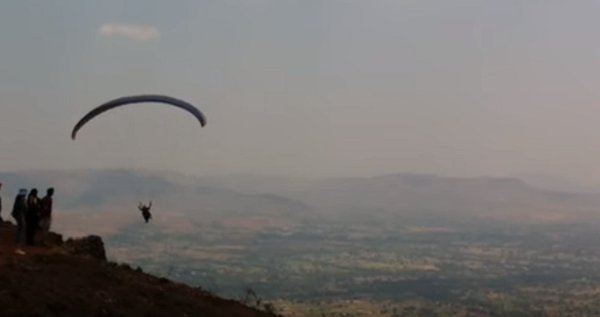 Bhilar, Khinger and Tapola are some of the most popular destinations for paragliding in Panchgani. 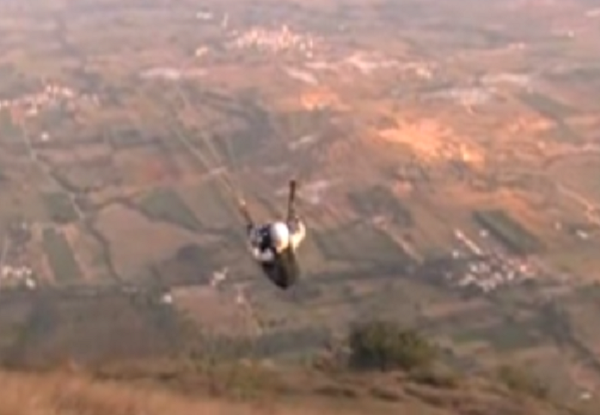 One can enjoy two types of paragliding drives at Panchgani- Tandem Jump and Solo Jump. 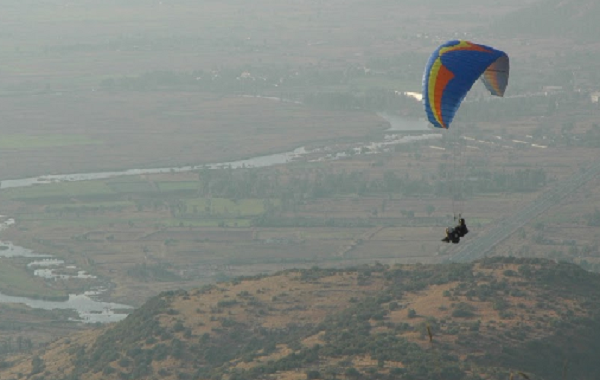 Best season for paragliding in Panchgani, Mahabaleshwar is from November to February. Yelagiri in the Vellore district of Tamil Nadu is known for its natural beauty and high mountains. It acts as the launch sites for paragliders. It is one of the best paragliding locations for beginners as well as for professional paragliders. Yelagiri Paragliding club can take care of your all needs to paraglide in Yelagiri hills. Best season for paragliding in Yelagiri is January to February and October to December. Want to fly like a bird in the open sky visit to Nandi Hills which is one of the prime locations for Paragliding in India. Situated 68 kms from Bangalore in the district of Chikballapur is great site for paragliding. One can enjoy the paragliding at height of 4581 feet above sea level is an amazing experience indeed. Many trainers and professional paragliders pilots recommend Nandi Hills because of its ideal terrain for paragliding. 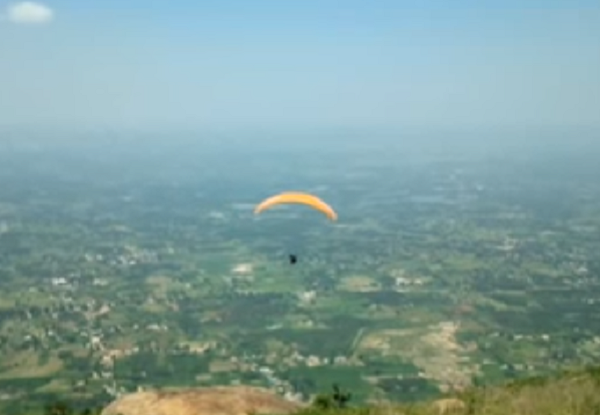 Best season for paragliding in Nandi Hills, Bangalore is throughout the year. Cost for Paragliding at Nandi Hills, Bangalore- INR 500 onwards for tandem ride and INR 10,000 for paragliding course. So visit any of the above paragliding destination in India to for ultimate paragliding experience and see the world with a new viewpoint.